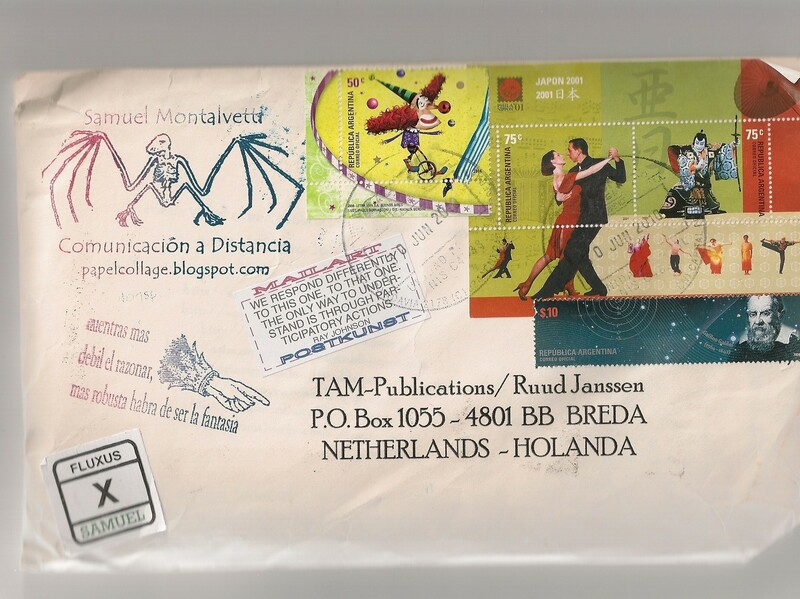 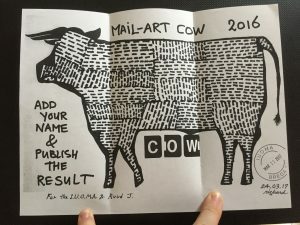 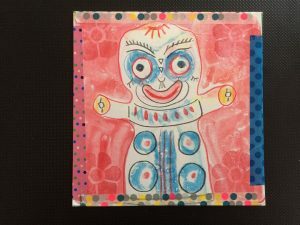 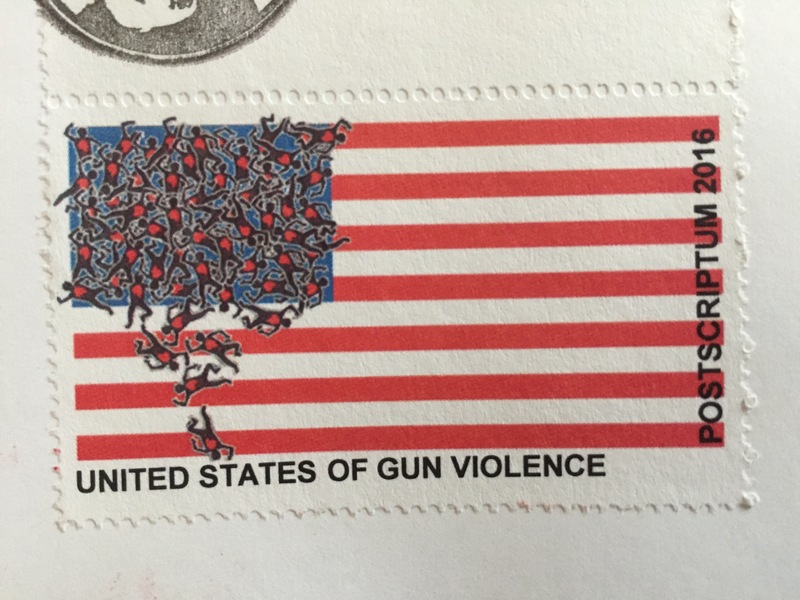 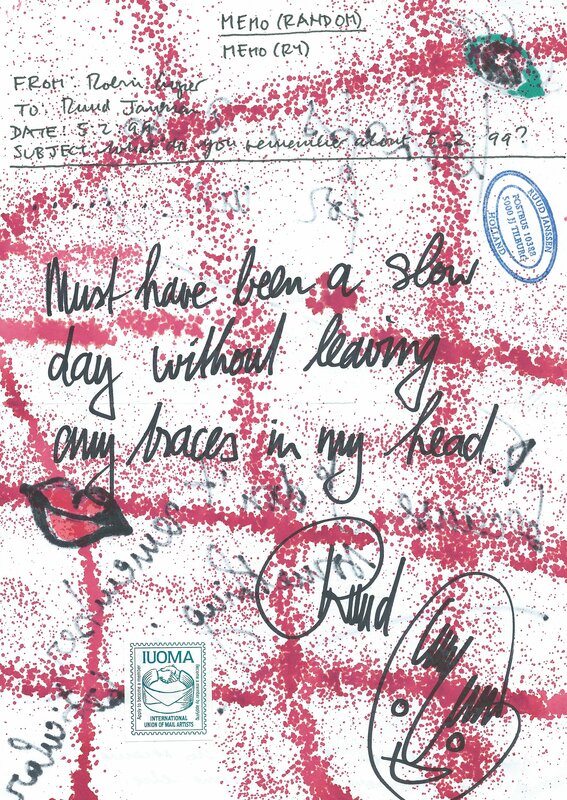 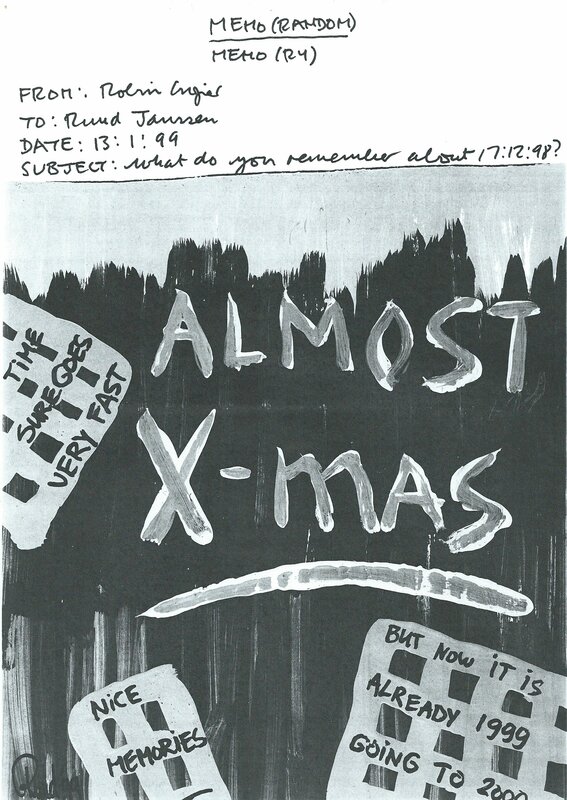 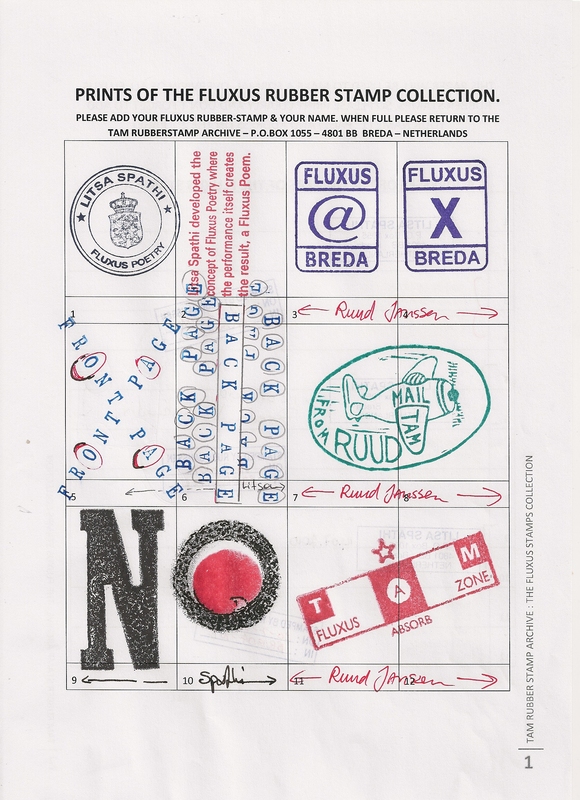 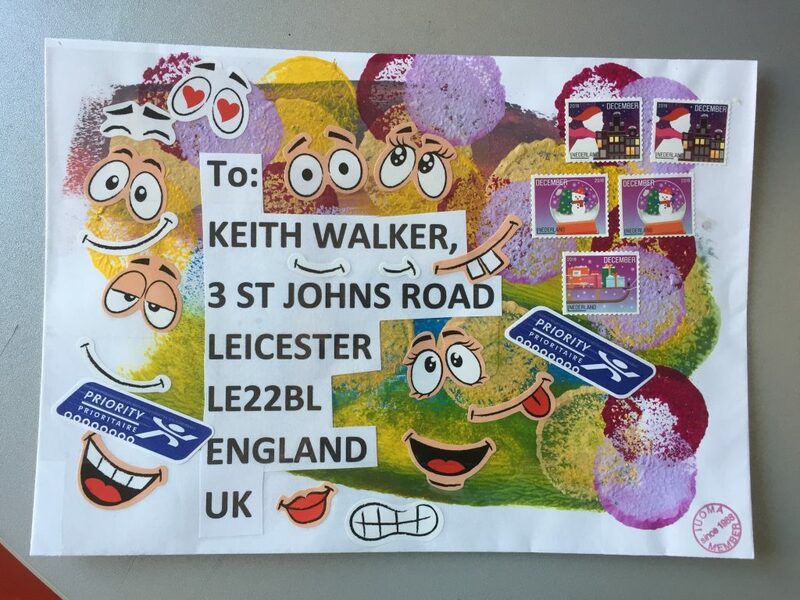 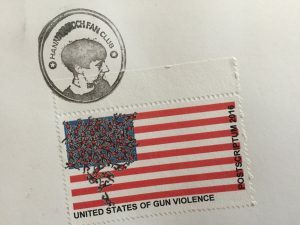 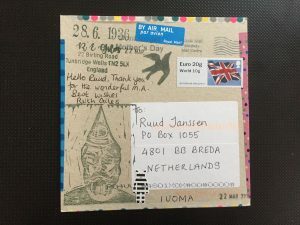 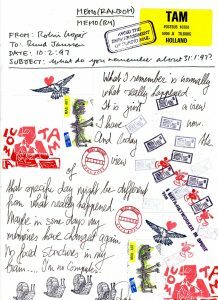 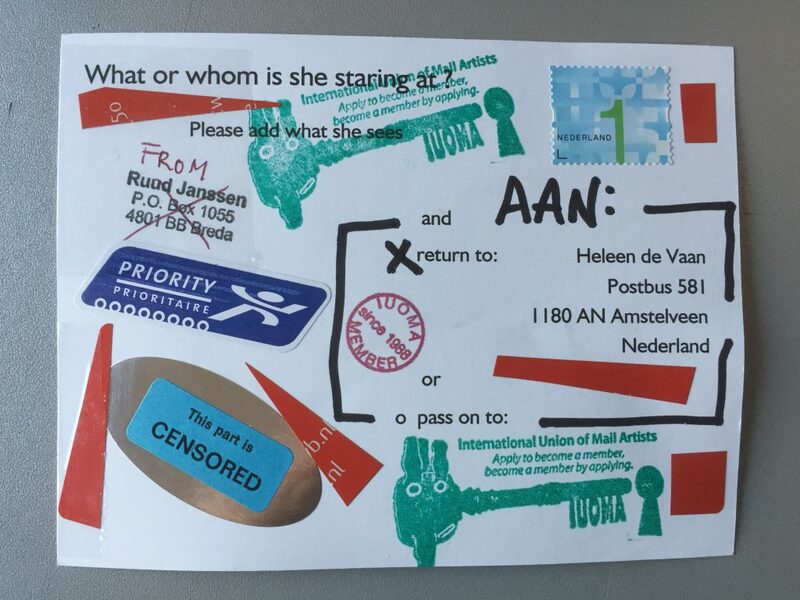 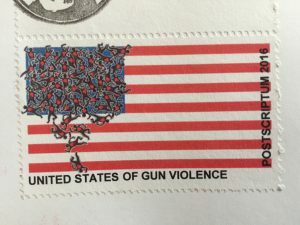 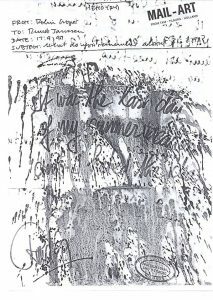 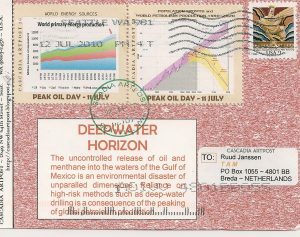 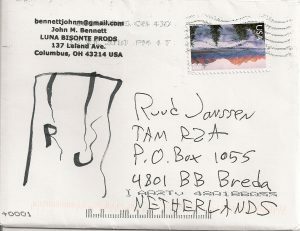 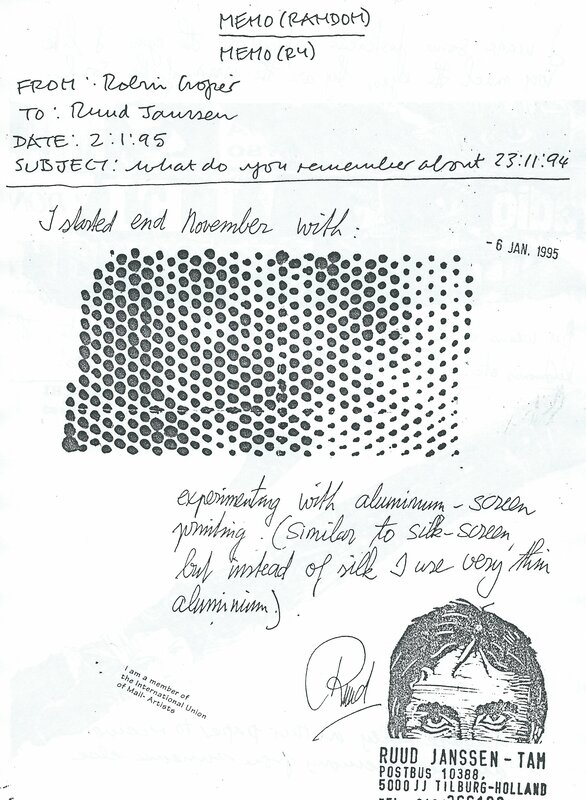 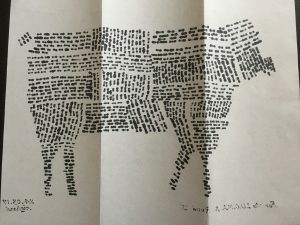 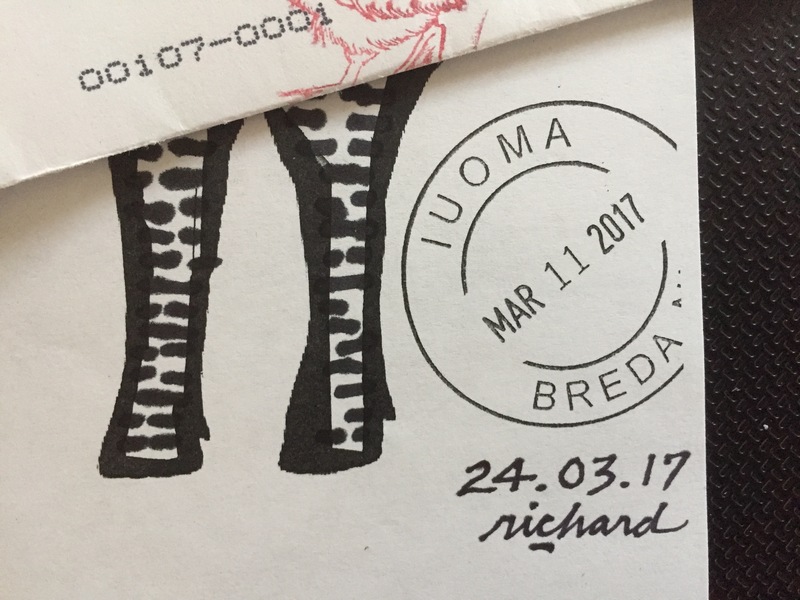 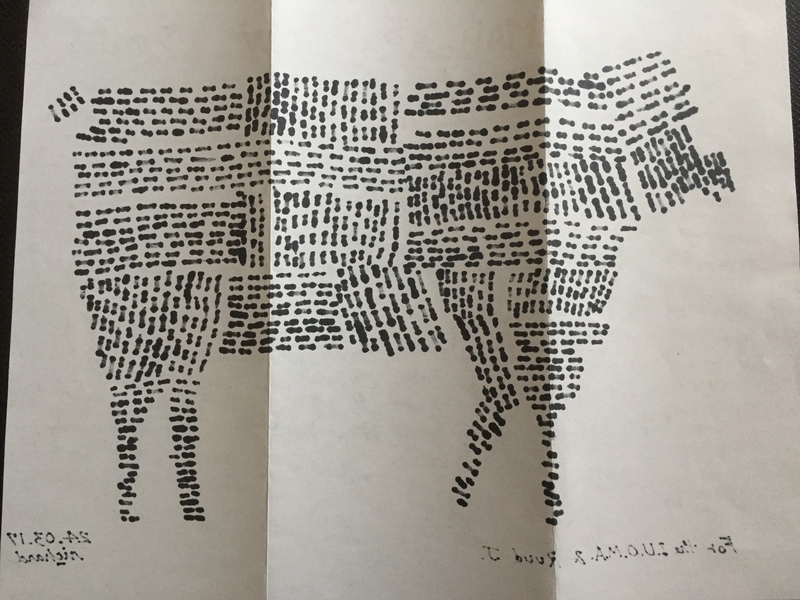 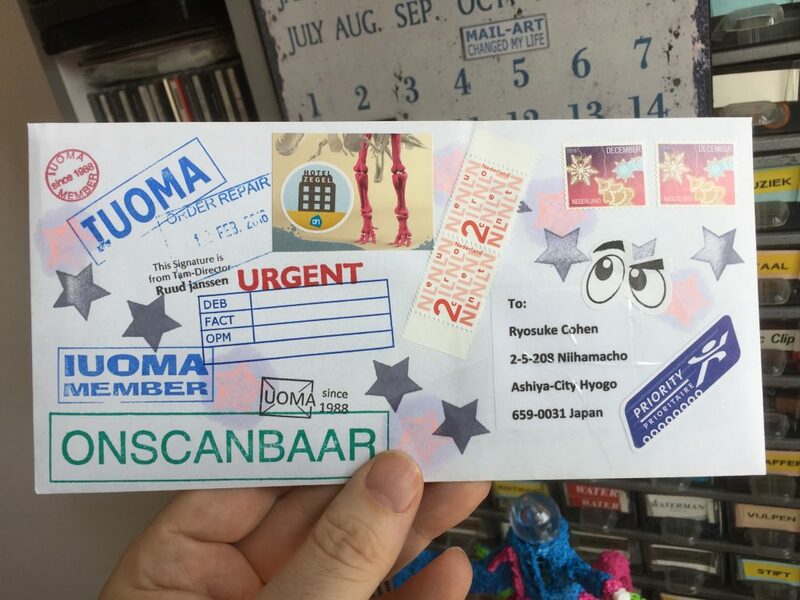 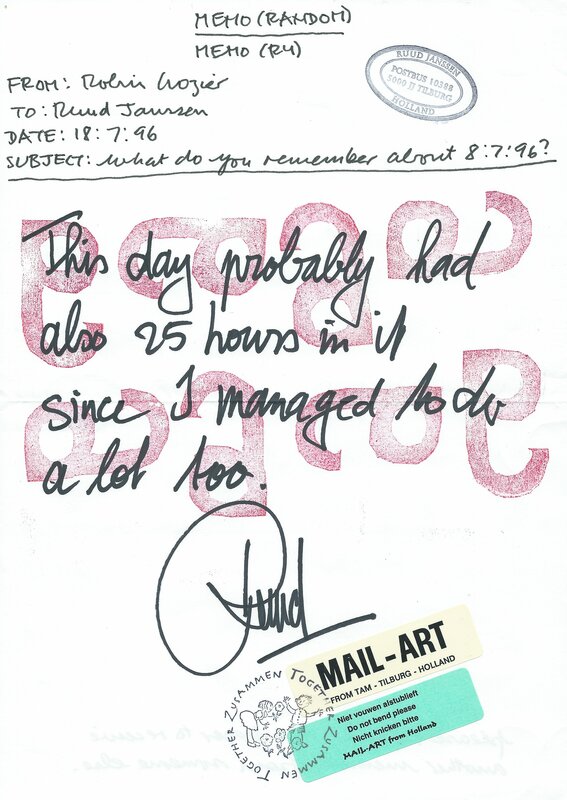 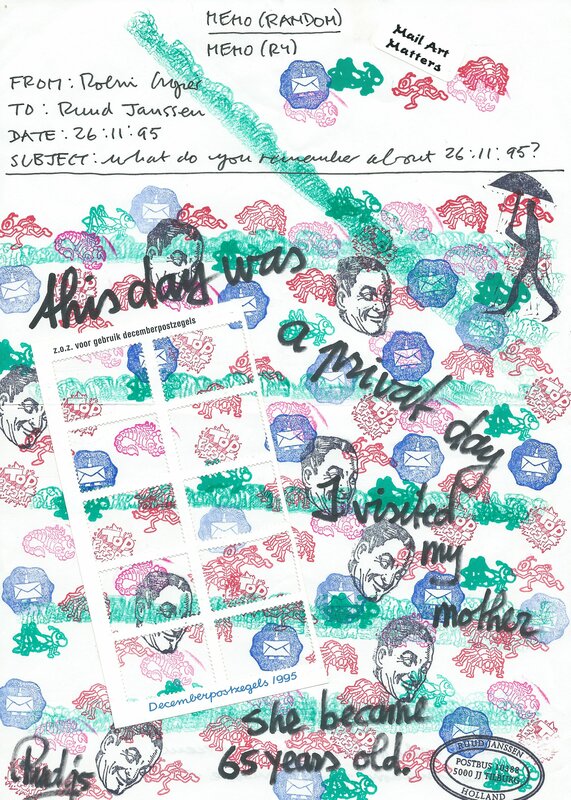 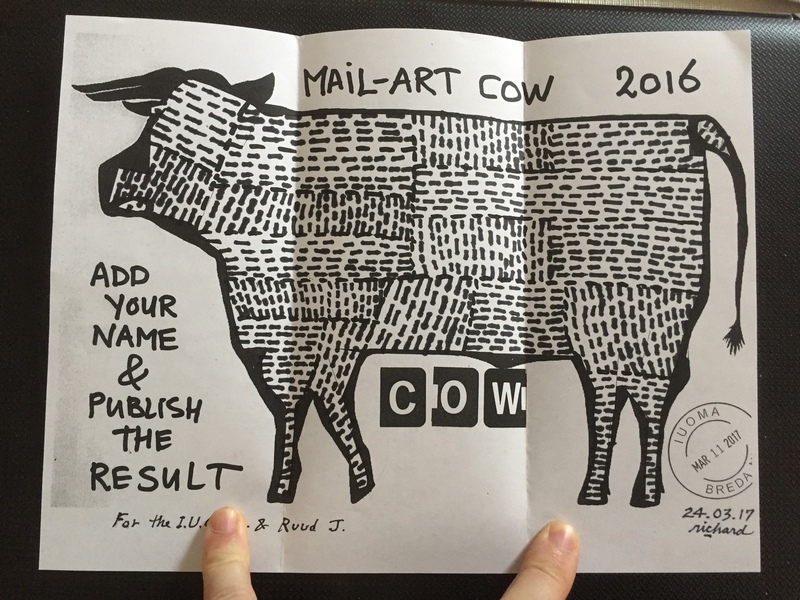 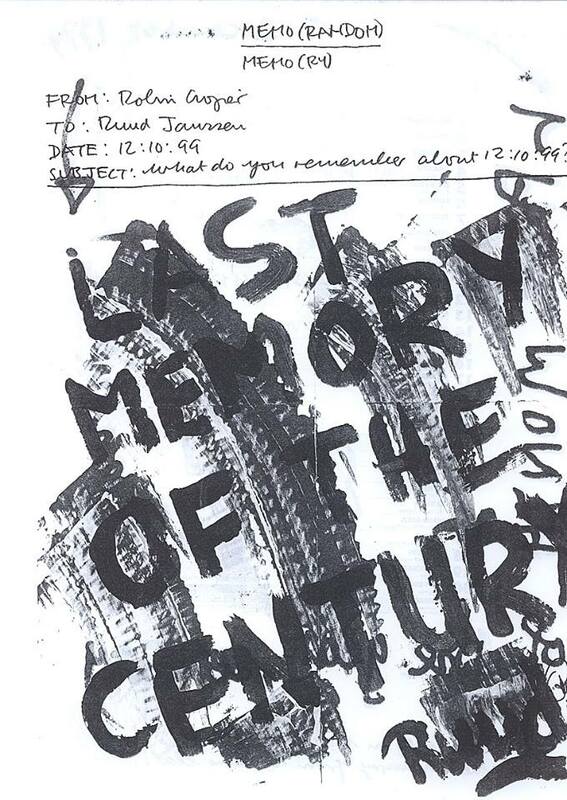 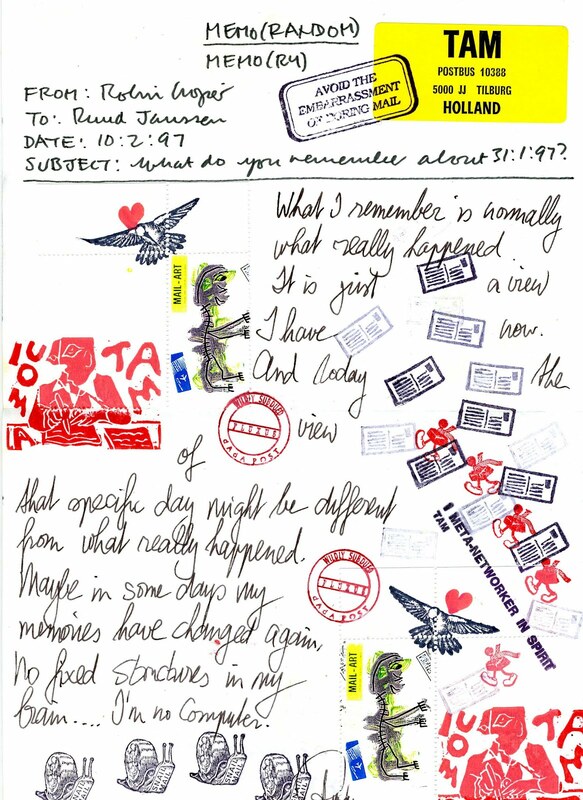 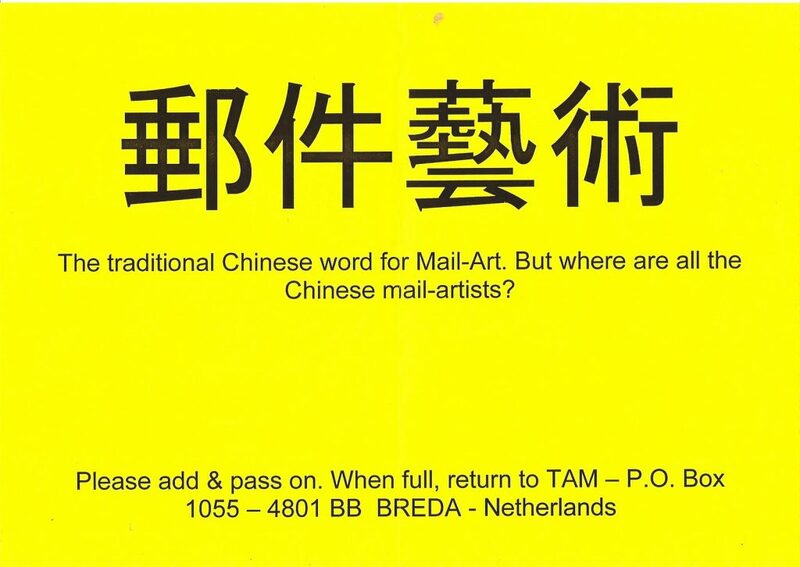 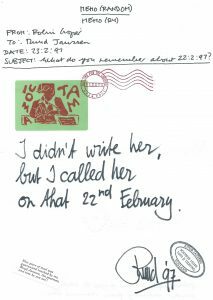 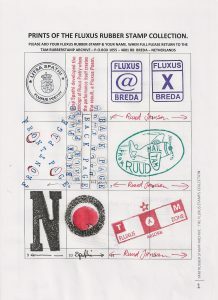 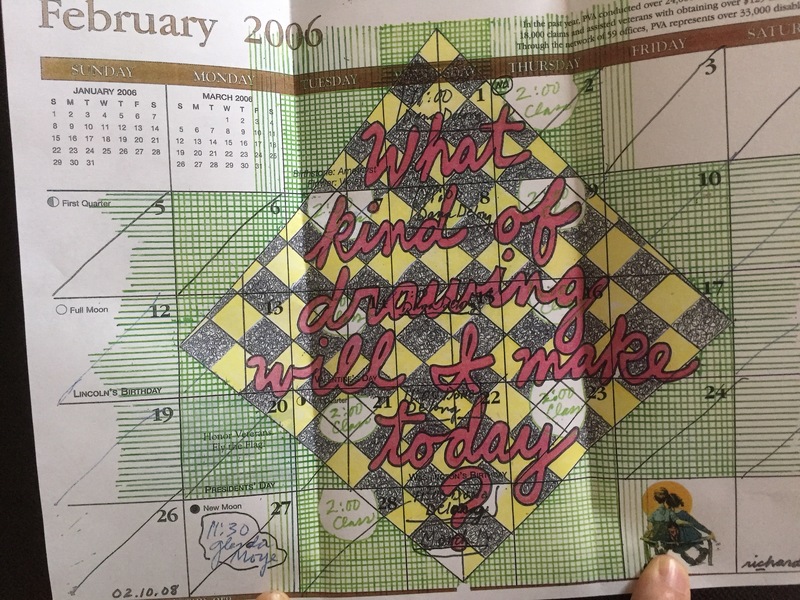 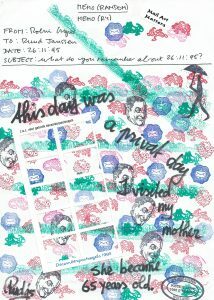 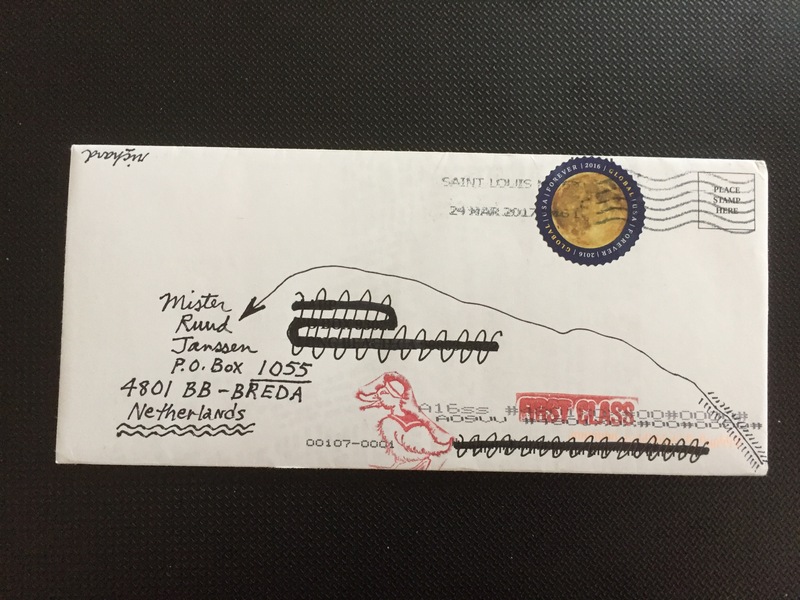 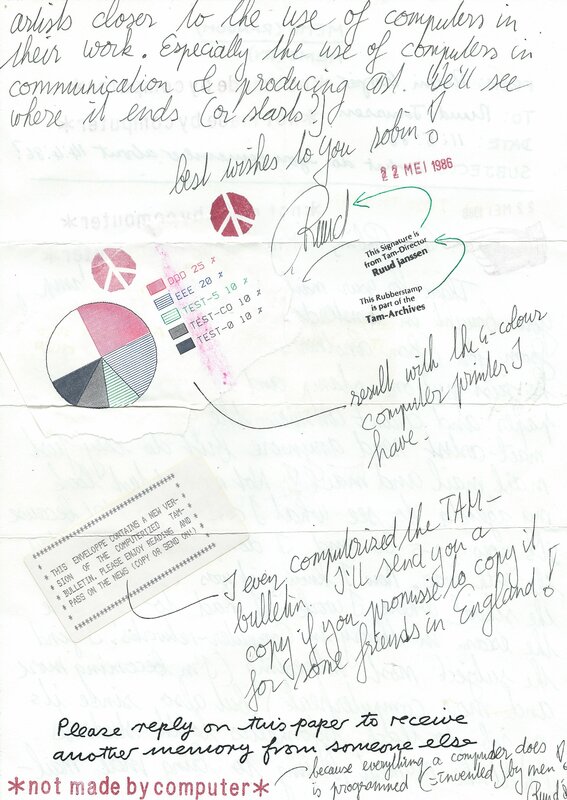 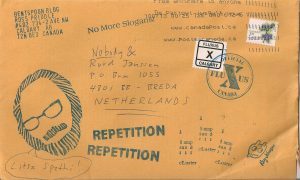 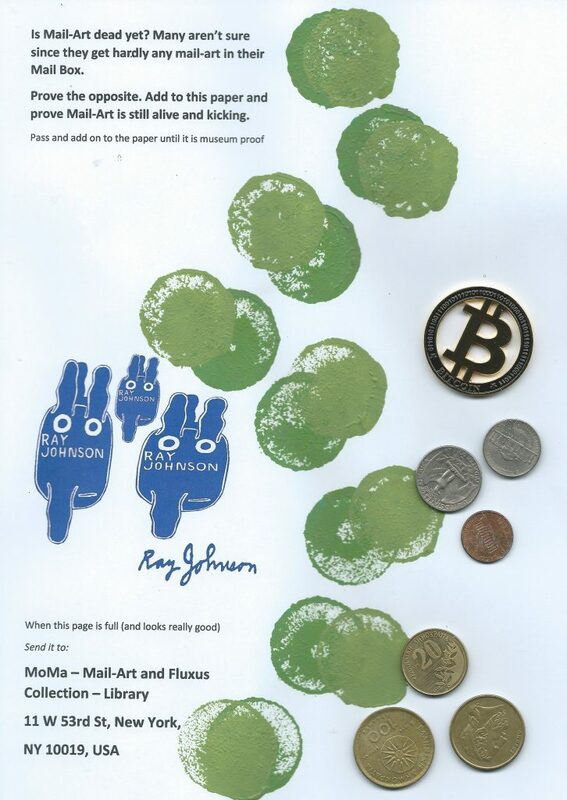 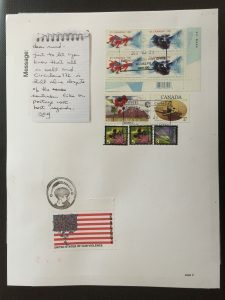 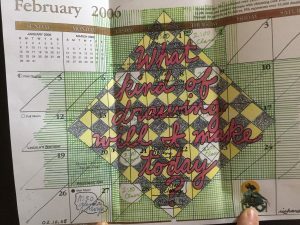 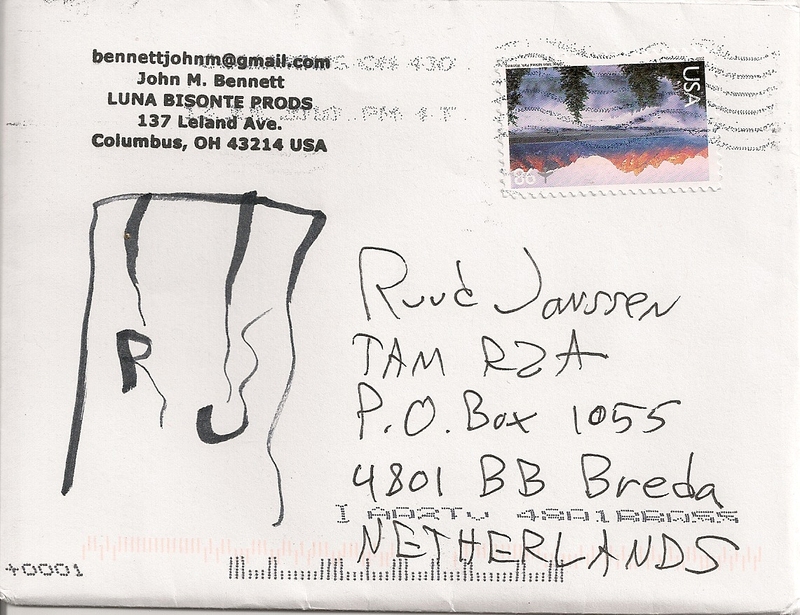 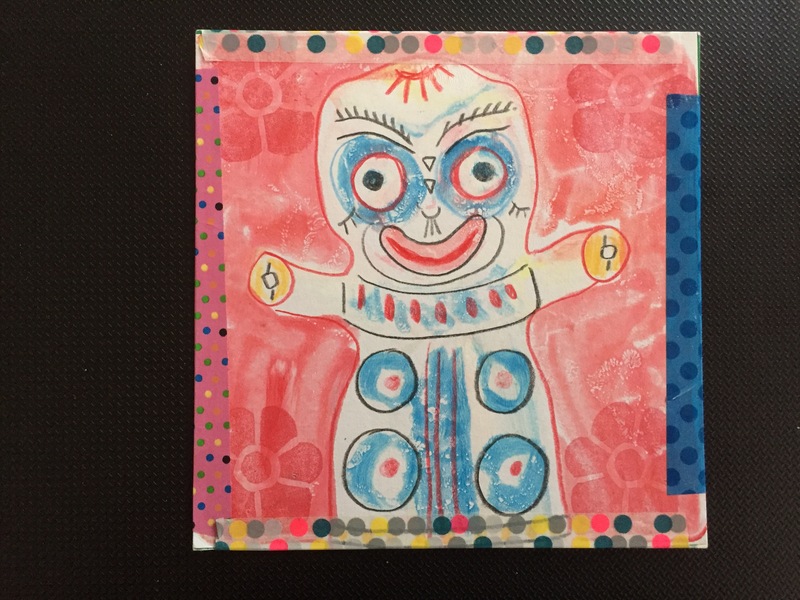 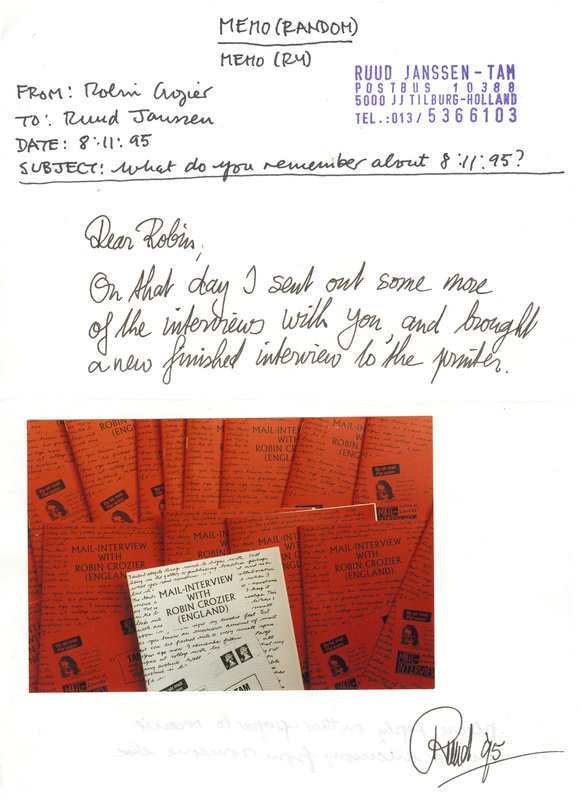 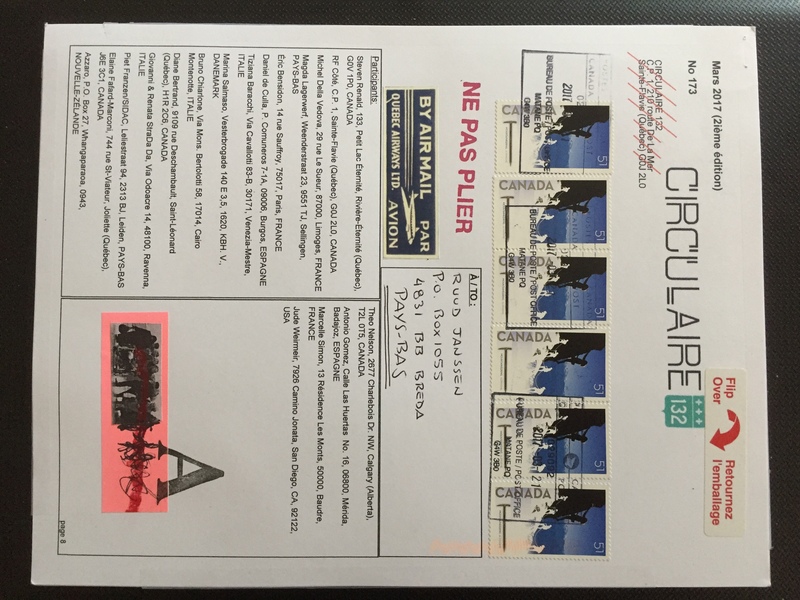 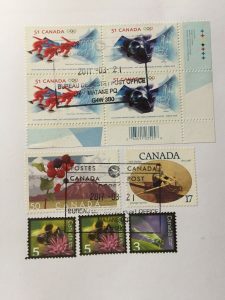 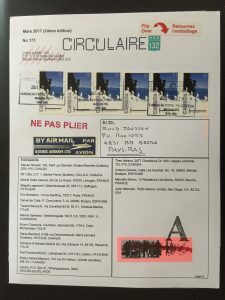 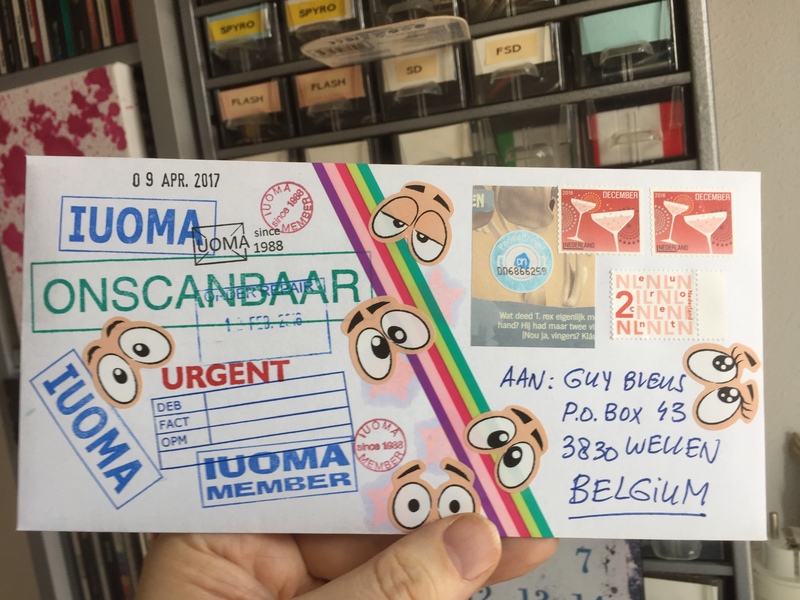 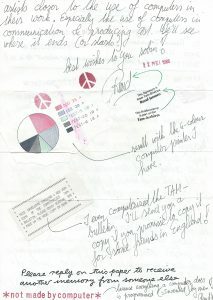 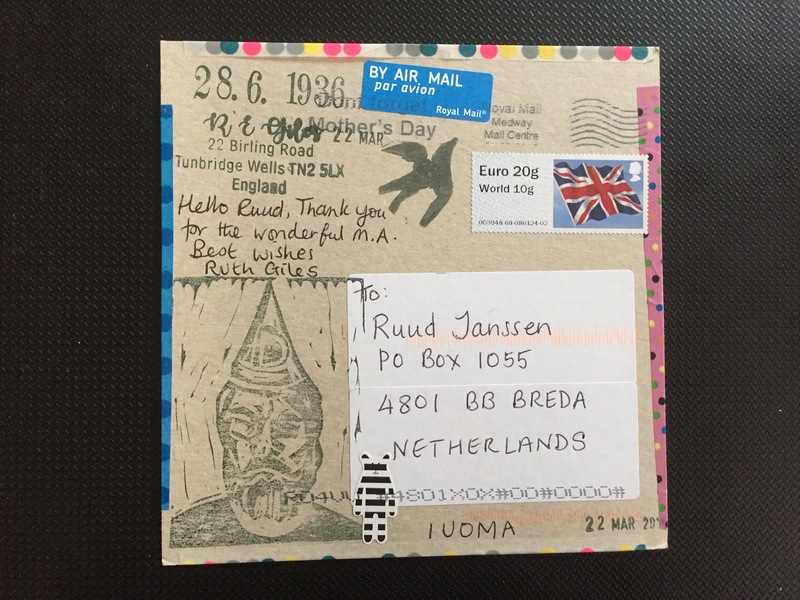 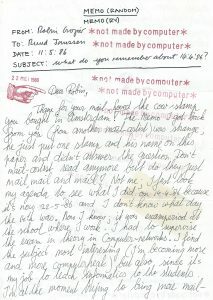 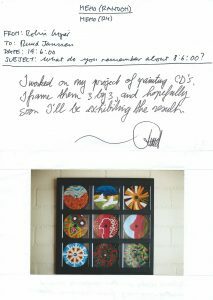 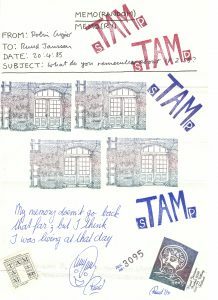 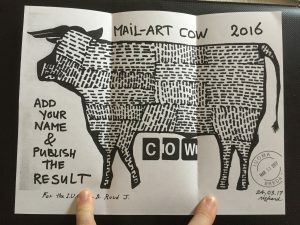 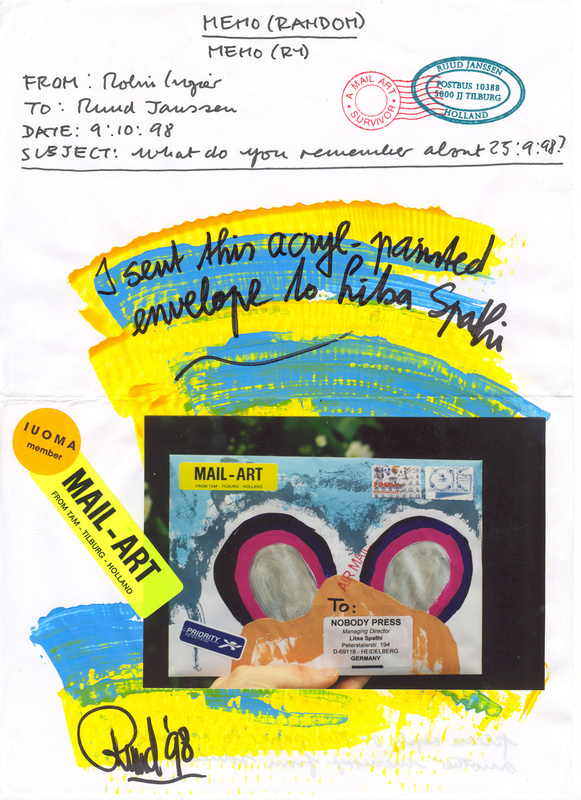 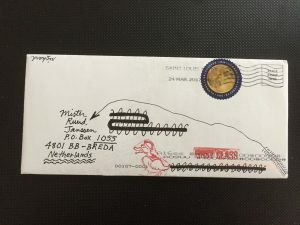 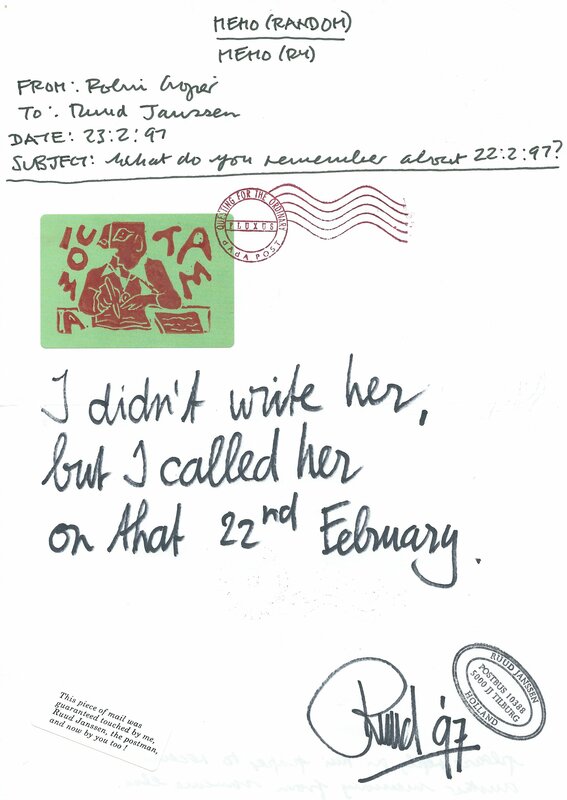 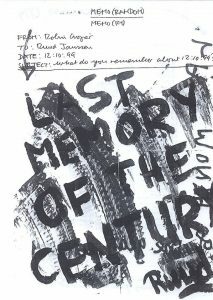 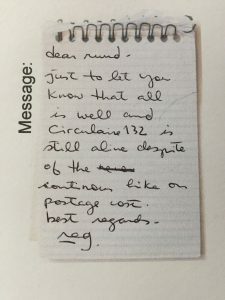 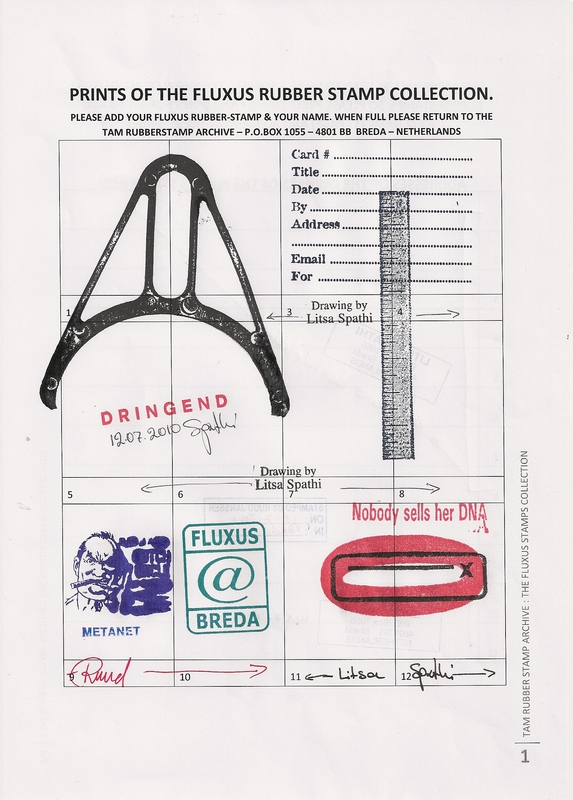 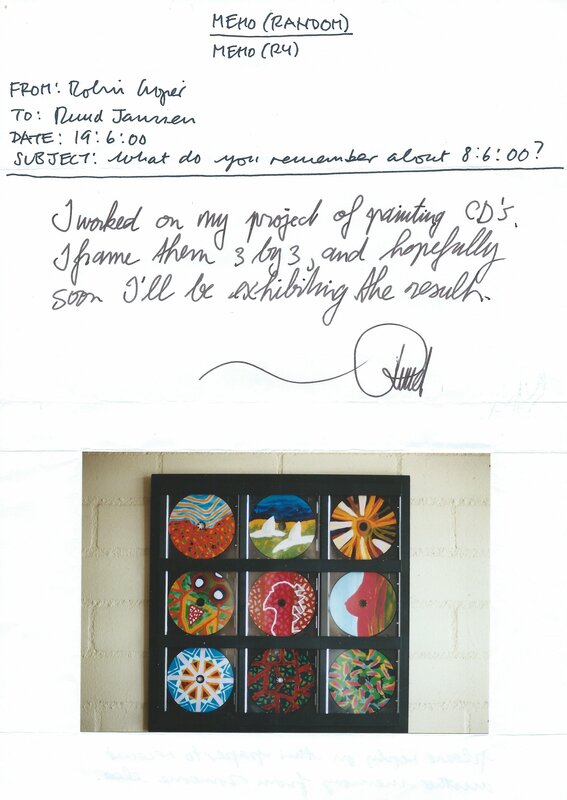 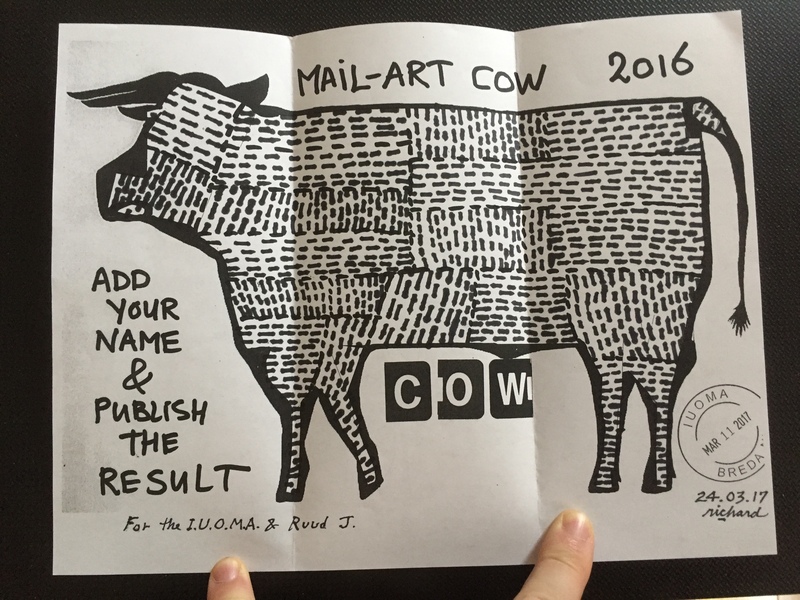 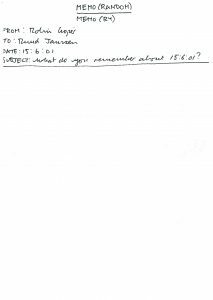 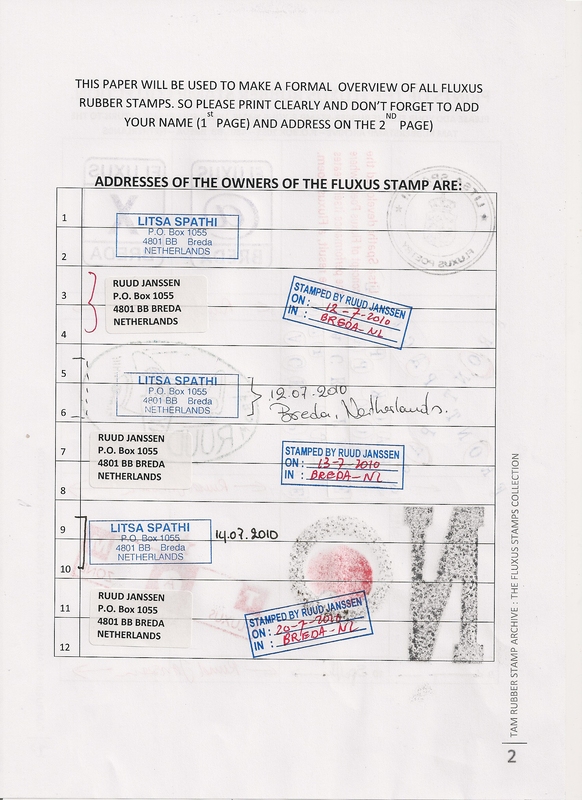 Add and Pass on – iuoma.org – Interested in Mail-Art? 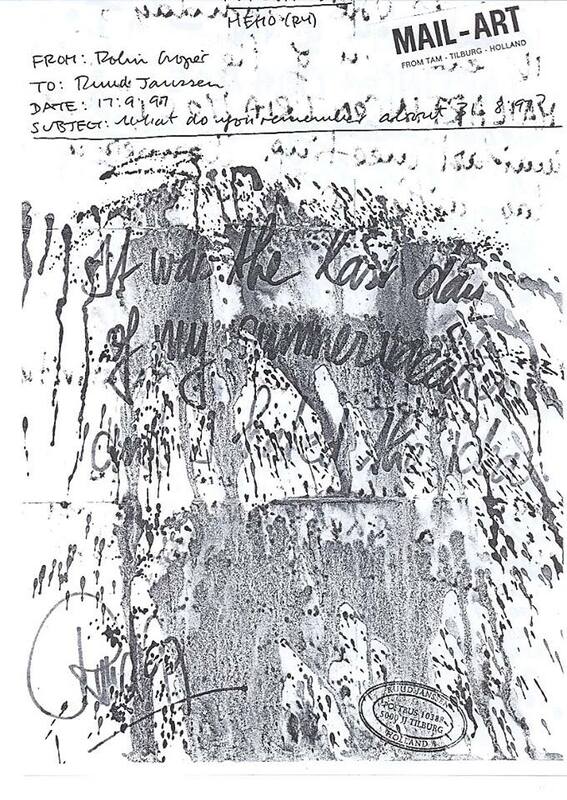 Some originals are in someone’s elses collection, and I only have a B&W xerox of it. 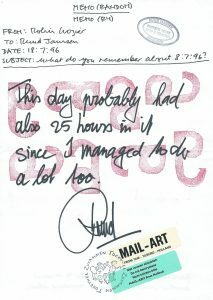 The dates and memories are now scattered arround the globe. 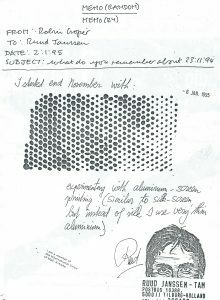 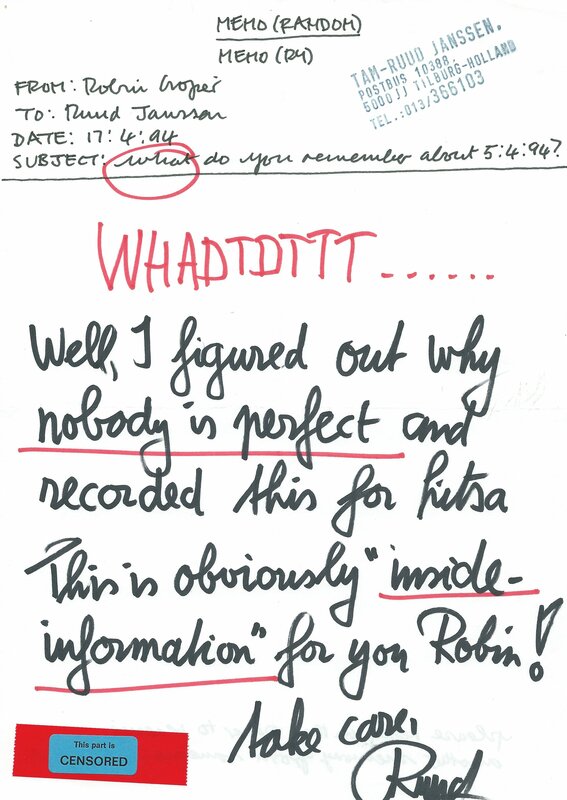 But it all fits together in a big large network that was active in the last decades when Robin Crozier was doing this project. 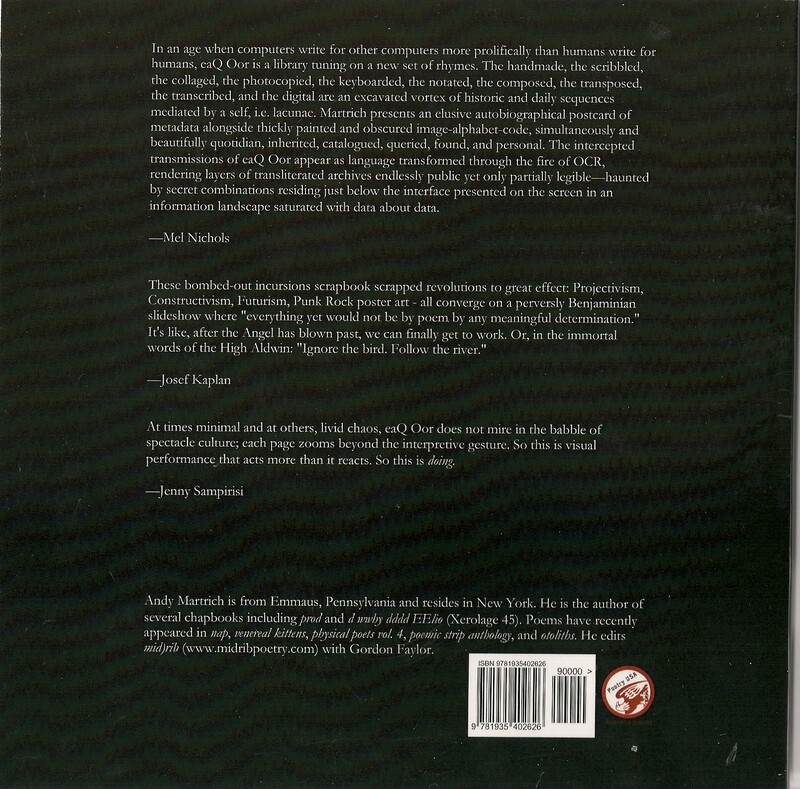 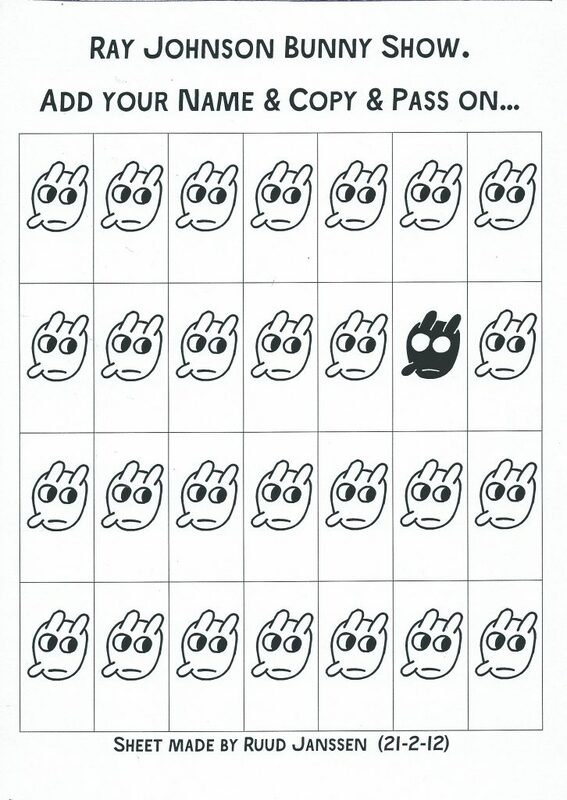 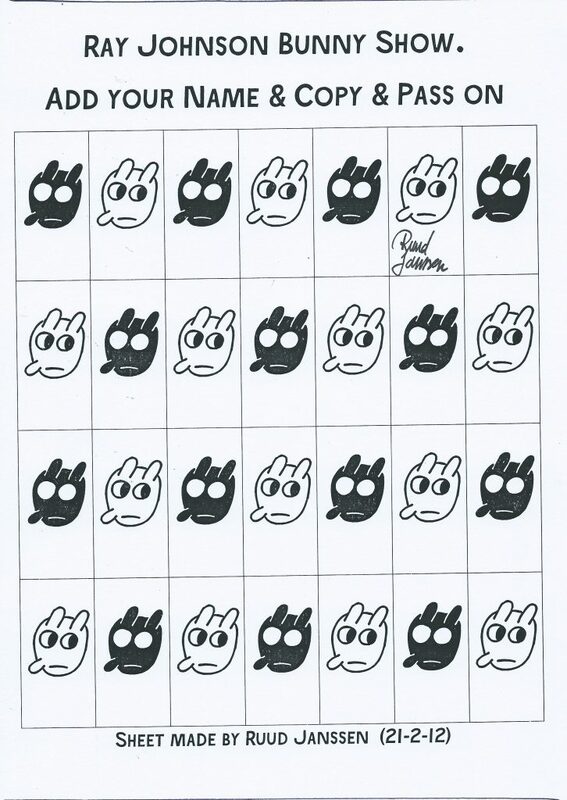 The production of a copy of stickers. 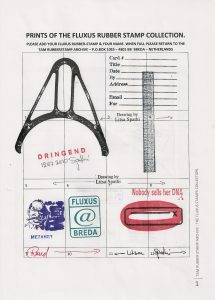 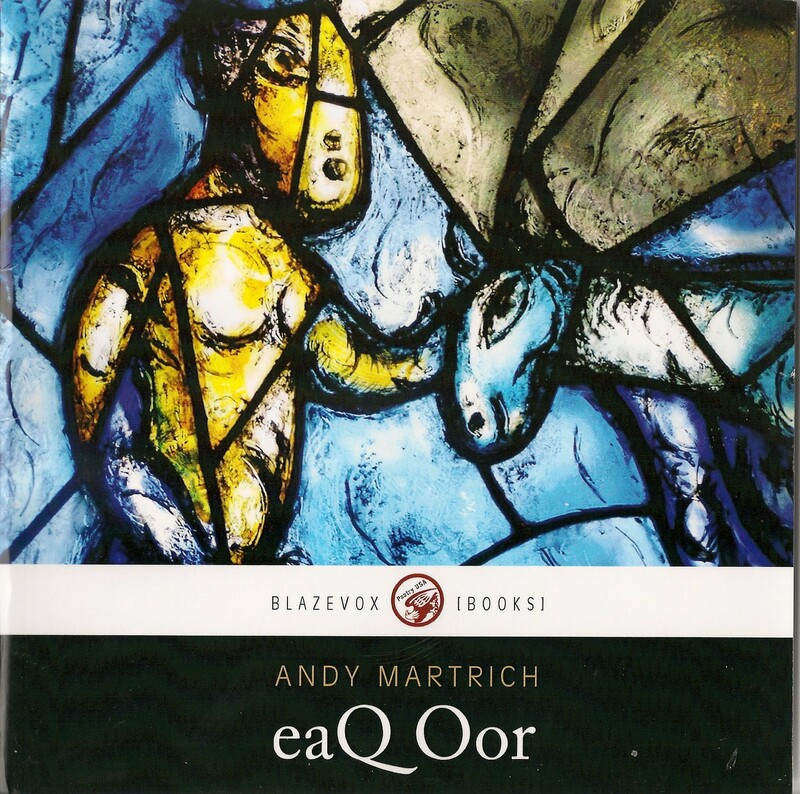 sample of Multimedia in production. Where I documenten the things that happened and were sent and received, It brought some new interesting contacts and even some publications and exbibitions. 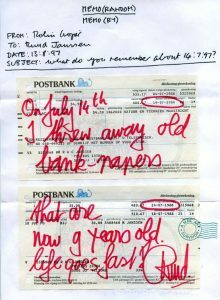 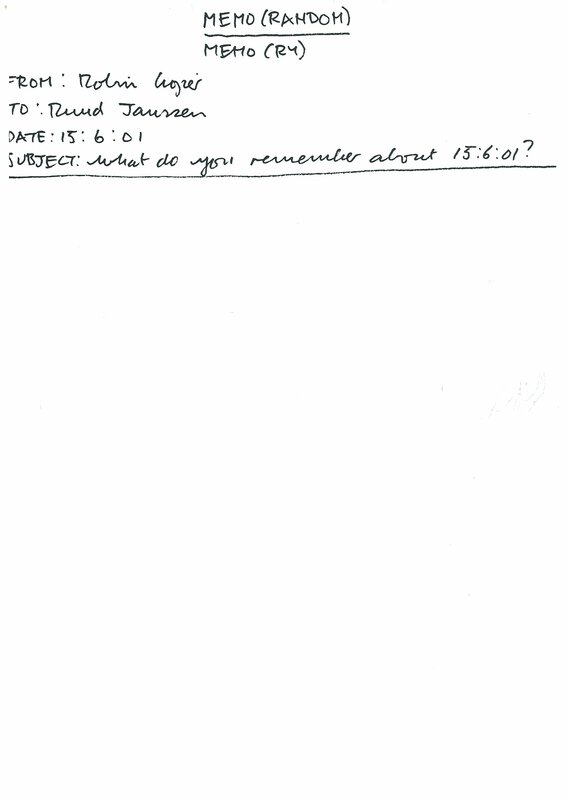 But with the chinese recent financial crises, the contacts just vanished and all there stil is are the postings and papers……. 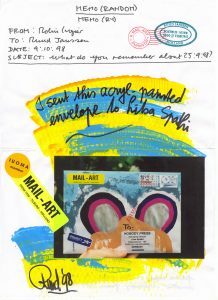 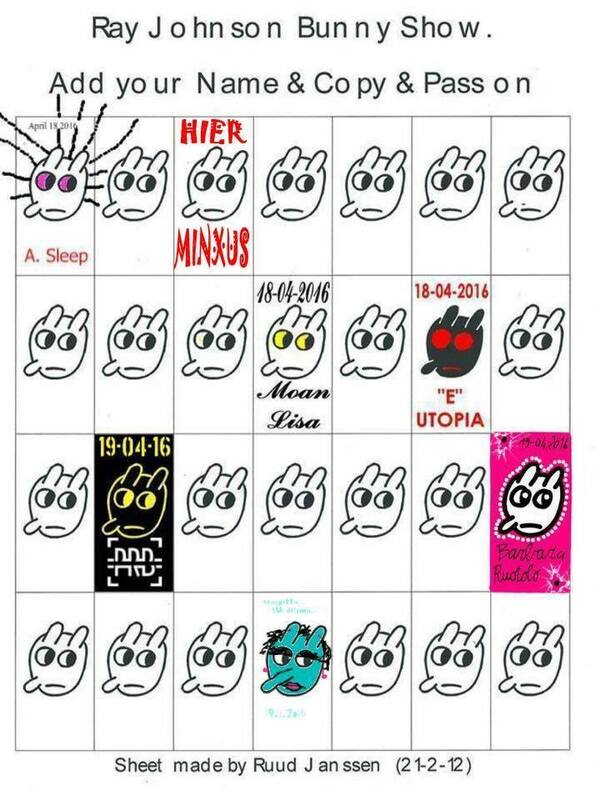 Worked on 4 special enveloppes this day which went out just now. 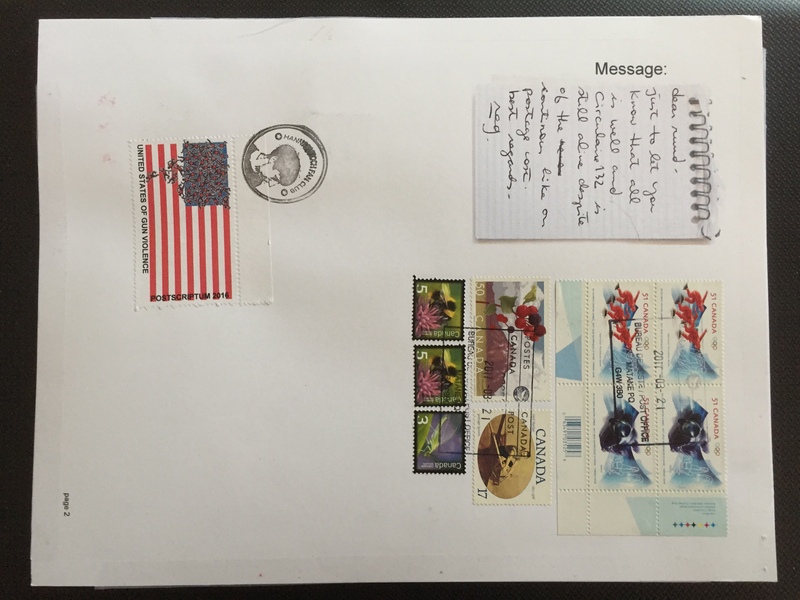 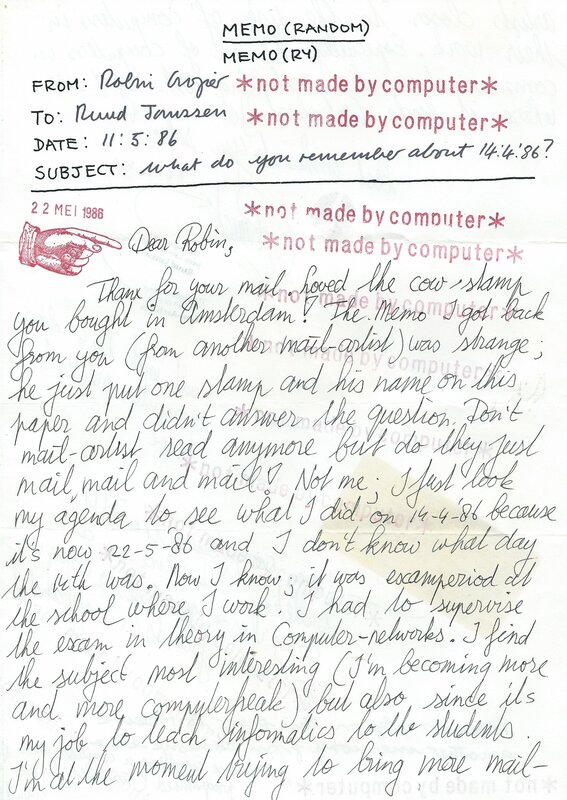 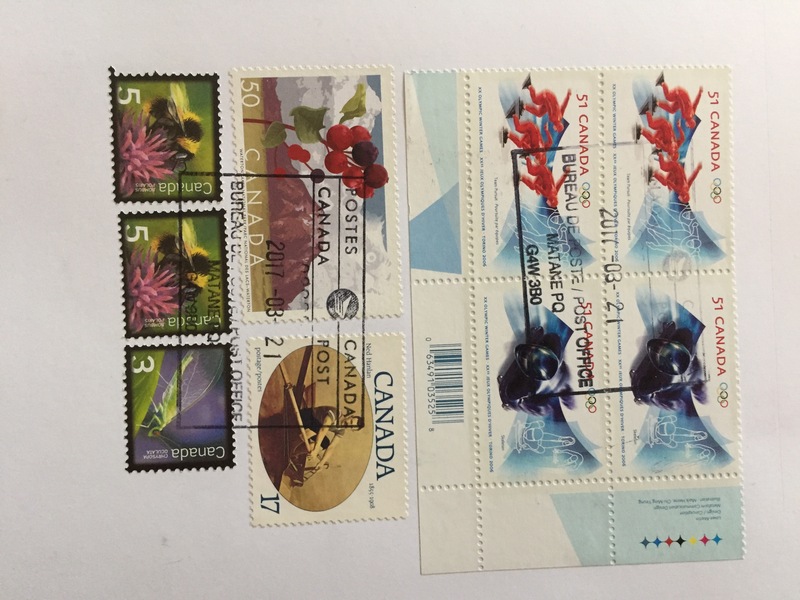 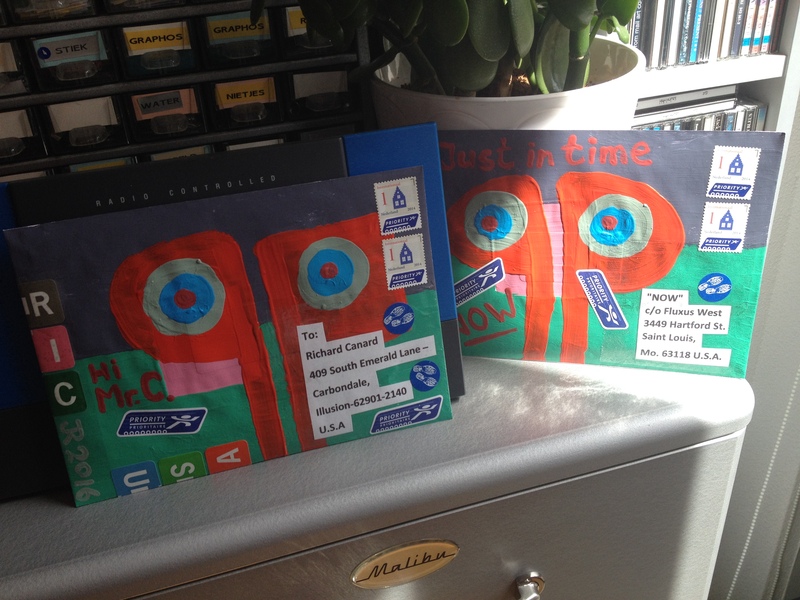 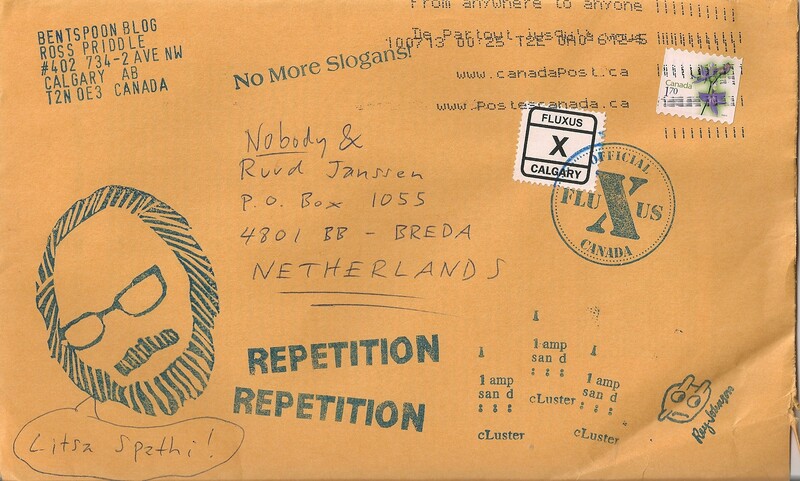 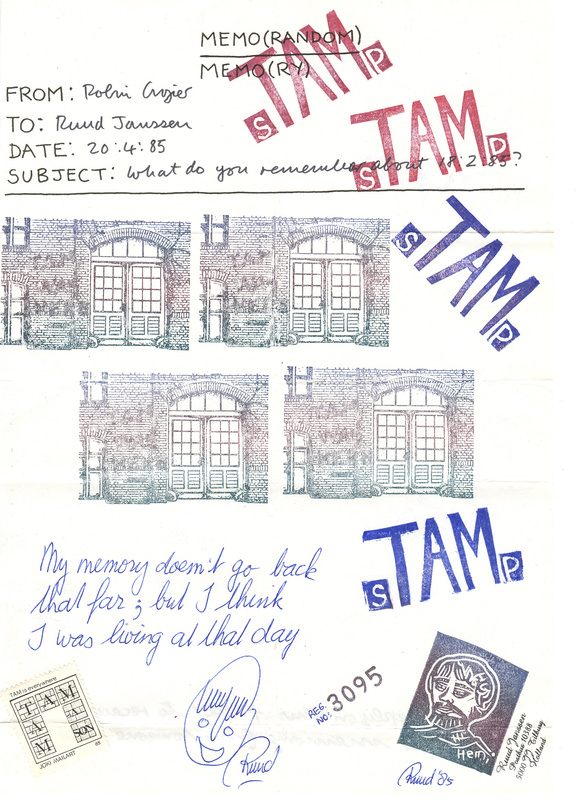 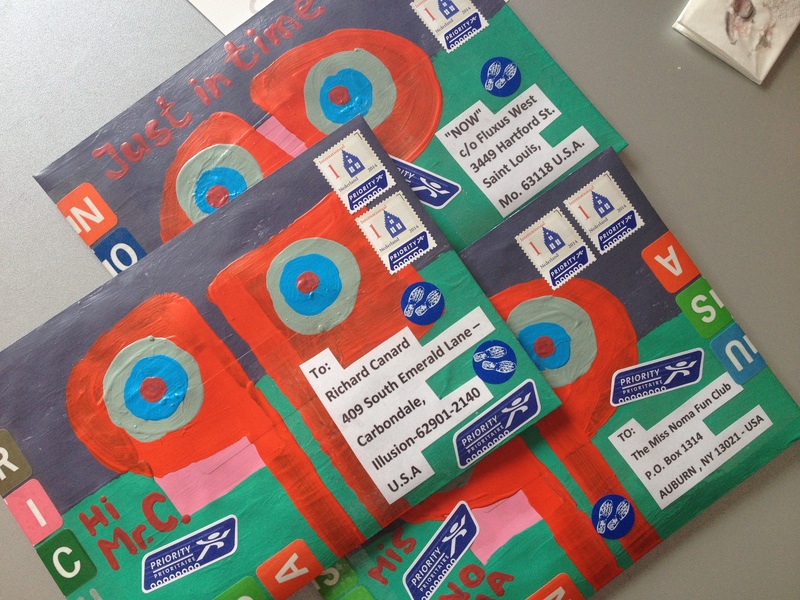 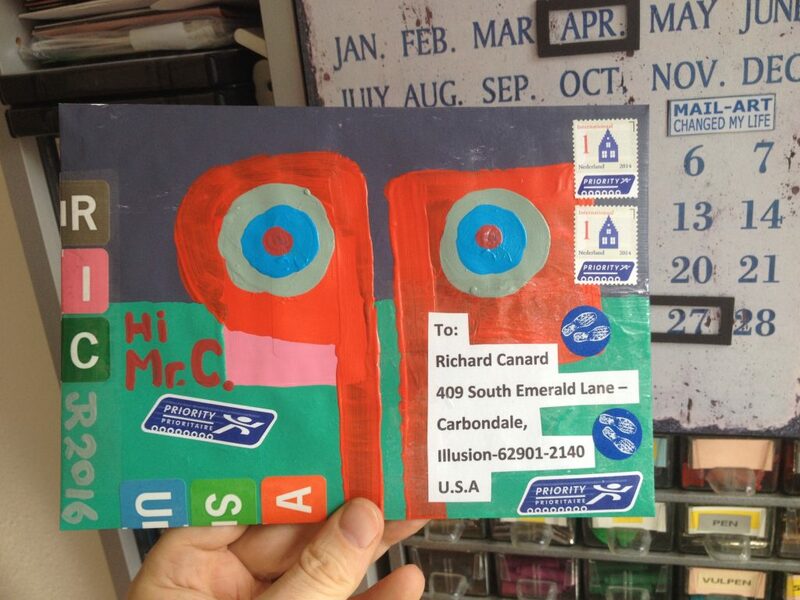 They fit is a series I made and one special envelope for Canada…..
Enveloppe for Richard Canard just to keep contact. 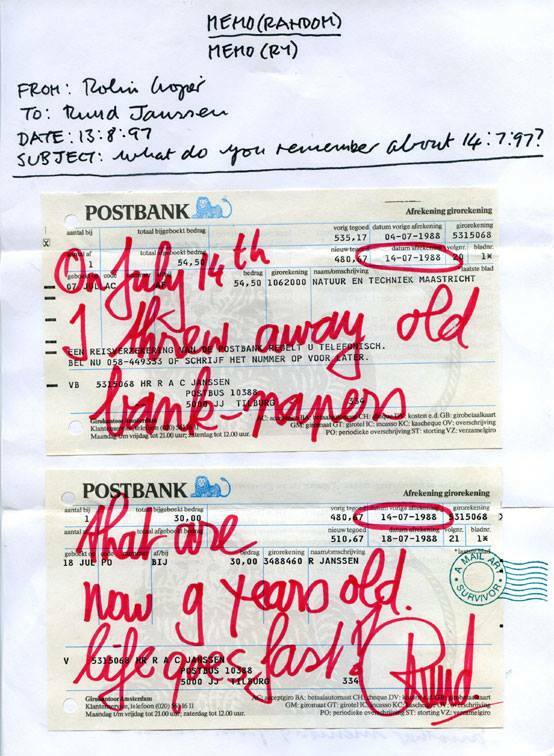 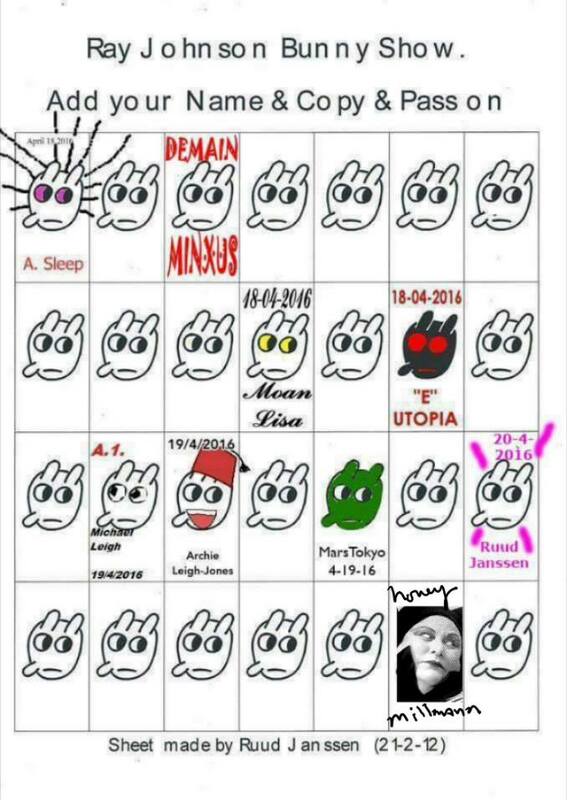 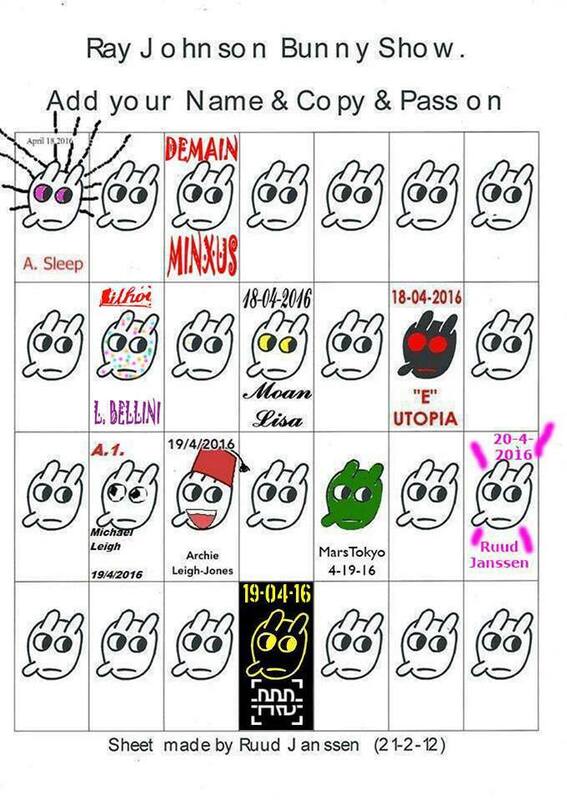 Also he will turn 75 next month, so want to keep his mailbox filled till a special event takes place. 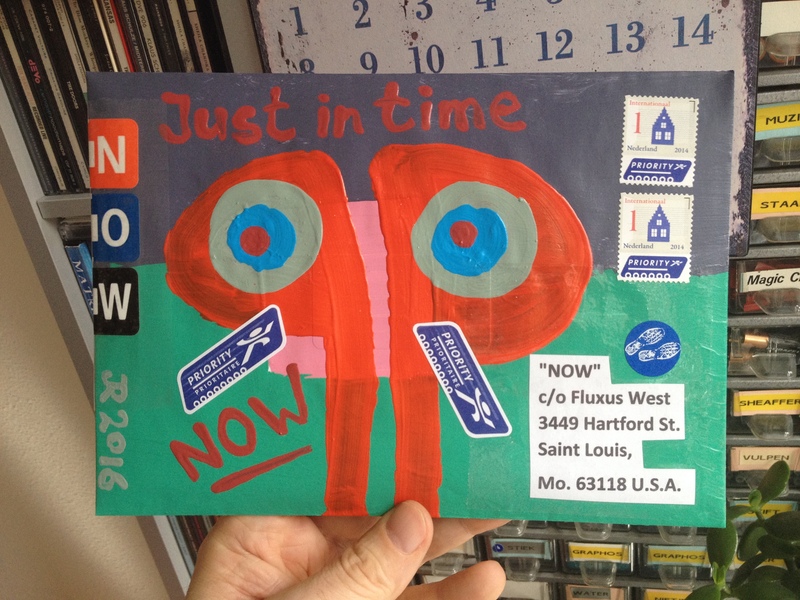 In Chicago Keith A. Buchholz has organized a special project in collaboration with the fluxfest 2016, so I am sending him this envelope for that NOW. 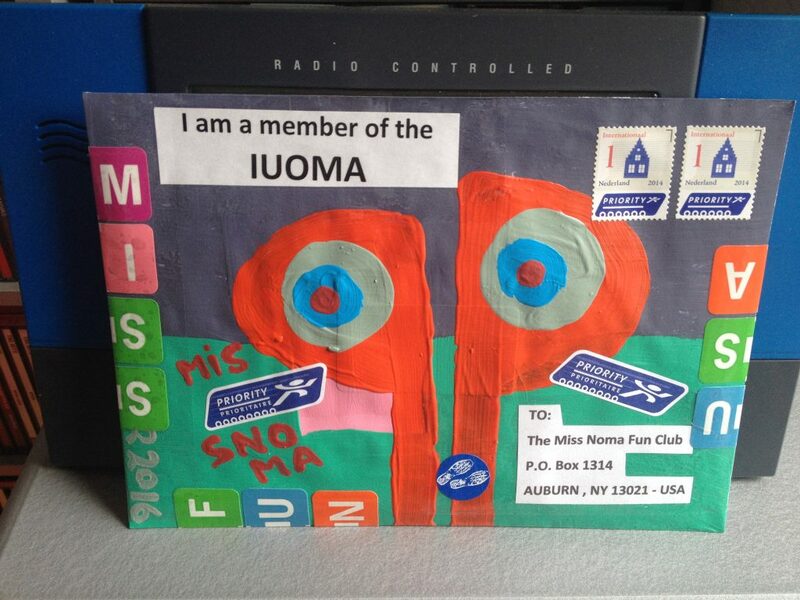 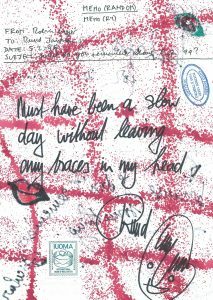 And another enveloppe for the Miss Noma Fun Club at the addres of De Villo Sloan. 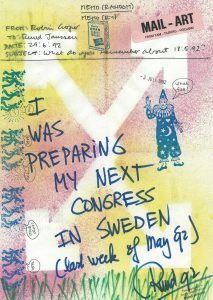 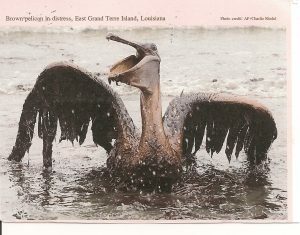 We will see how that developes. 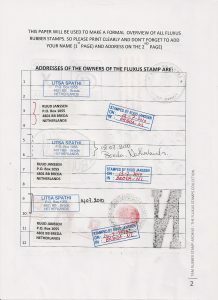 The search for more details on Miss Noma continues. 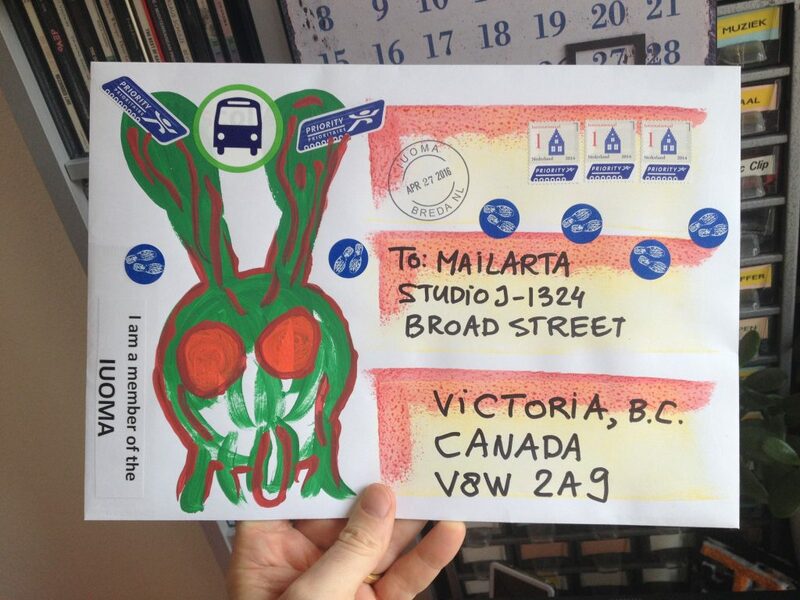 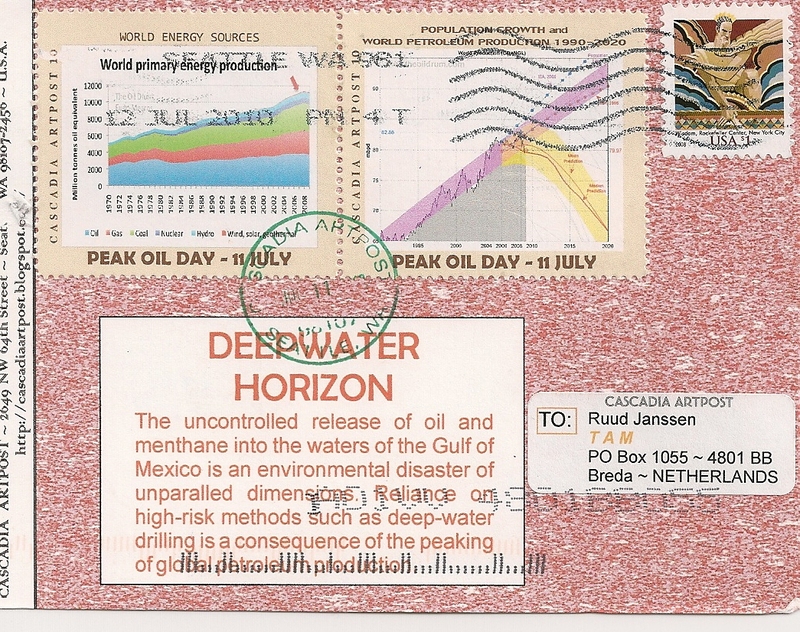 And below a special envelope for Mailarta in Canada. 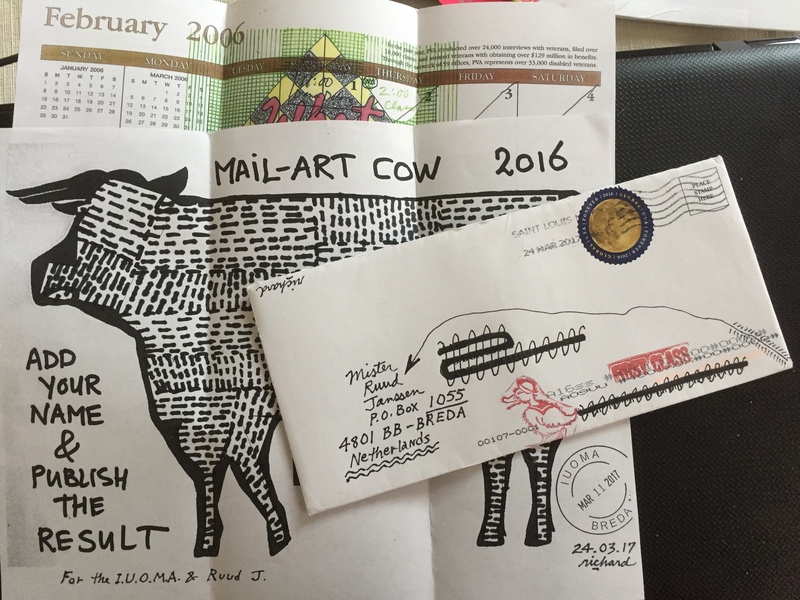 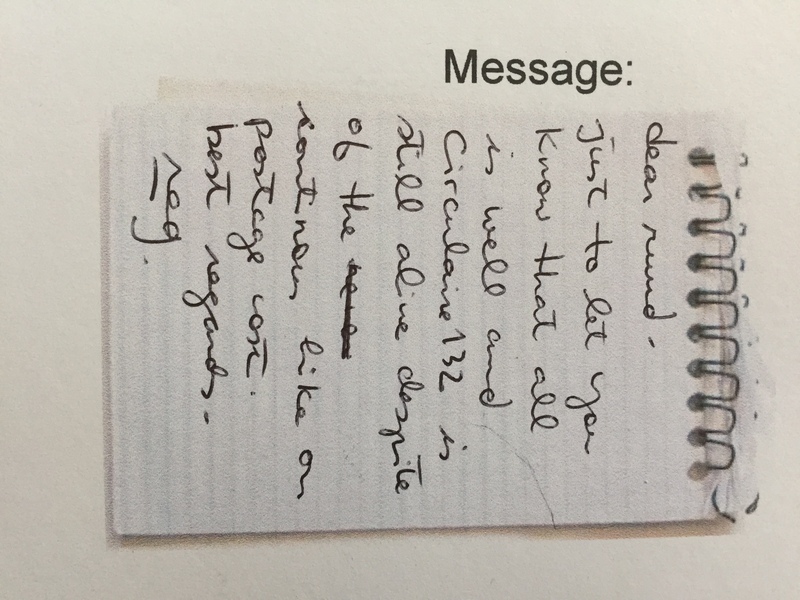 He/She sent me a bunch of goodies and I am returning the signed artistamp portrait for the collection.